Human nature being what it is, curiosity often gets the better of us. Finding random USB sticks brings out that inquisitive quality. After all, they’re small and cute and how dangerous could they be? Here is your warning: Hackers intentionally leave USB sticks where they can be found – offices, parking lots, classrooms, retail stores, you name it. 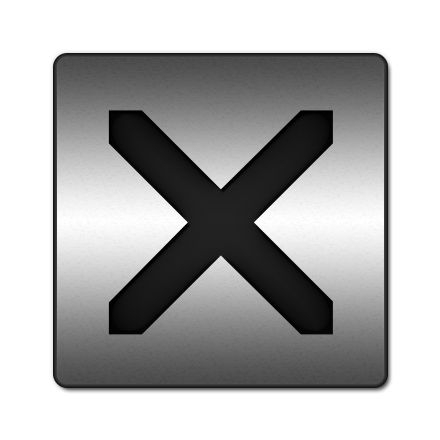 Once inserted into a device – look out. The answer to “what’s on them?” is often “malware” – which is now downloaded onto your device. Surprise – now you know! If you’re at work, simply bring the USB stick to the IT department for further investigation. 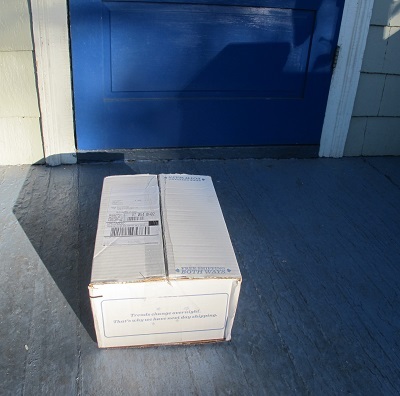 If you’re on your own and curiosity is rearing its quizzical head, your best bet is simply tossing it in the trash. 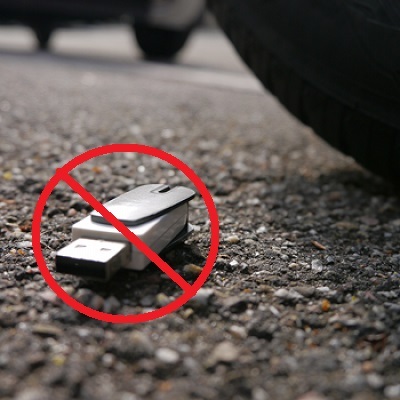 Chance USB sticks are just one of several concerns that a recent report by HIMSS (Healthcare Information and Management Systems Society) finds as a security threat to healthcare systems. The HIMSS is a non-profit organization dedicated to information technology and management systems to improve the quality of healthcare. Using technology to improve healthcare safety, cost-effectiveness, and quality is what they’re all about and the vulnerabilities of these systems is a huge concern. Healthcare is one of the biggest targets for hackers, sometimes holding entire hospitals, devices, and patient records for ransom. A report by the US Department of Health and Human Services finds 477 healthcare breach incidents were reported in 2017, affecting over five million patient records. With this in mind, the HIMSS “June Healthcare and Cross-Sector Cybersecurity Report” investigates several weak spots in healthcare data systems and how to avoid them. Cybersecurity experts believe the next wave of vulnerability and attacks come from API’s (Application Programming Interface). API’s are often used to build software applications and their integration allows access between apps and services. 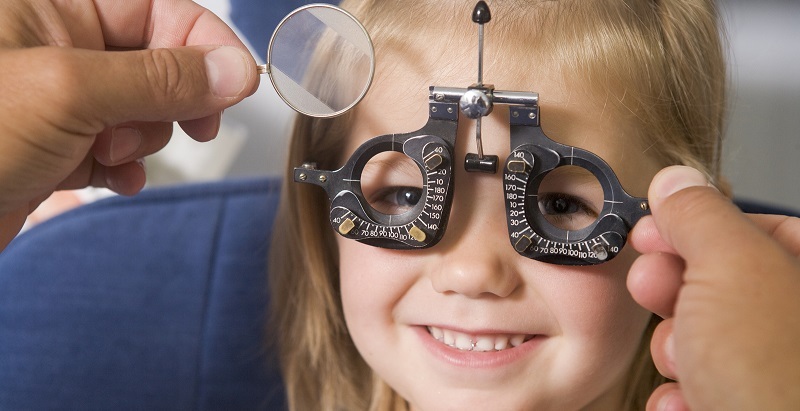 Healthcare, like many businesses, relies heavily on them to integrate services. Many contain malware and other vulnerabilities just waiting to be exploited. Those using API’s to create apps and software need to be hyper-aware of what exactly is in the API, so it doesn’t end up being a threat to healthcare and other organizations. Protenus’ Breach Barometer 2017 reports 41% of hacked healthcare information was done by employee error or intention. It’s a troubling mix of employee misconduct and outside hackers plaguing industry data security. It also finds insider-error affected 785,281 patient records. Those are errors that could have been easily avoided – as simply as an employee not opening email from senders they don’t know. If they’re accidentally opened, they should never click on any attachments. Educating employees about hacking and its methods could end up saving lives. The healthcare industry and its patients are counting on them to be cyber-smart. Prescription medications are expensive. This is not much of a secret in the United States. And to help curb the expense, many people purchase these from companies online, which often offer lower prices on the same drugs. 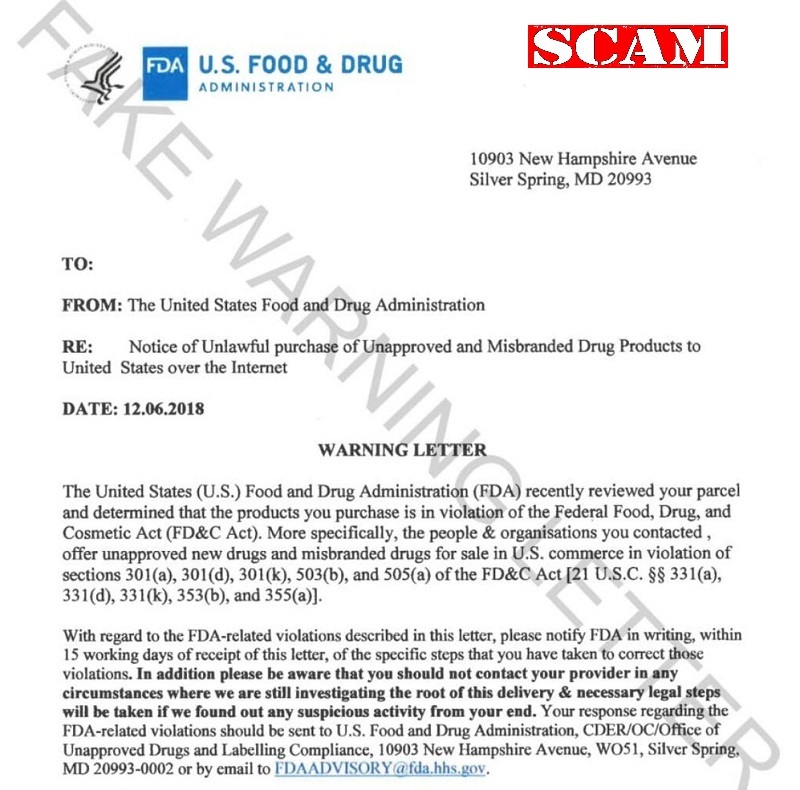 The FDA is warning consumers about illegal online pharmacies and to be on the lookout for a scam where these website owners take the money and instead of sending the products, they send a letter warning the purchasers that they are under investigation for drug violations. First, the FDA has stated they don’t generally take action against individuals for purchasing medications online. They do try to take action against the owners of these illegal operations. The FDA did not send any letter making the accusations in these fake letters and warns recipients not to fall for anything written in them. These may be addressed generically to “Sir/Ma’am” or may address the recipient directly. In any case, those receiving any such letter should contact the FDA Internet Pharmacy Task Force and/or the FTC to report the details. While it’s understandable to want to lower your medication costs, be aware of these scams. Remember to check the security of any website in which you enter payment details. If you don’t see that “https” at the beginning, the text doesn’t turn green indicating secure, or you don’t see a lock icon on the page, don’t enter your payment information. While this is no longer a guarantee of a secure and legitimate website, looking for those indicators is a good first step. Remember to continuously check your payment card charges for suspicious activity. With so much online commerce happening these days, it’s not out of the question for hackers to get to card numbers. If you have the option to check it more often than monthly, do so. The faster you take care of any fraudulent charges, the less expensive and stressful for you and your financial institution. 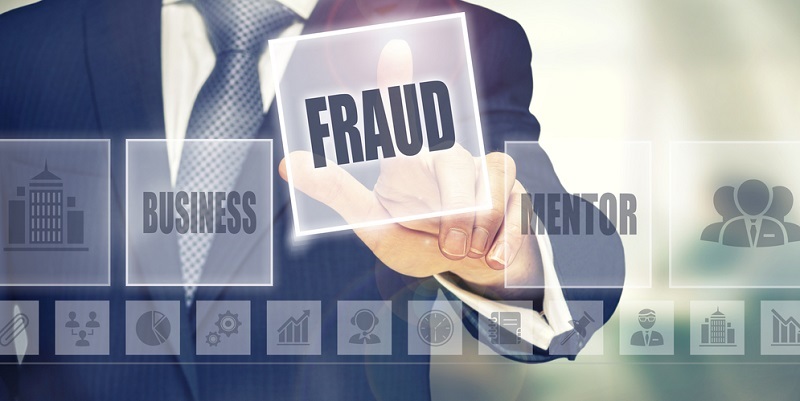 After all, the cost of fraud doesn’t just fall into your lap. The more expensive it is for those card issuers to fight fraud, the more expensive using payment cards will be in the long run. If they are not located in the U.S. It isn’t clear why the scammers sent these letters out since they likely have the victims’ money anyway. However, there is suspicion that it’s the start of a very sophisticated and targeted campaign toward those who use these services. Be on the lookout for phishing, vishing, and smishing. These people have the basic contact details of the customers, as well as some information about their healthcare. 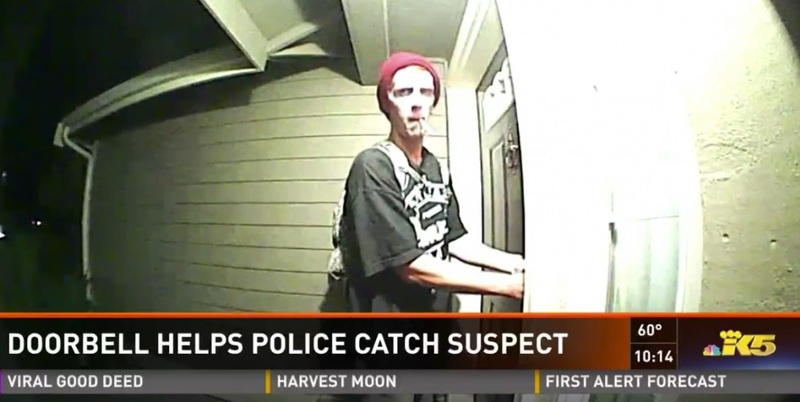 Additional scams that try to steal even more sensitive information could be on the way. Following is a story of a data breach. It also involves ransomware and a healthcare facility. However, the information doesn’t only apply to one particular industry. In fact, there is a very valuable and important lesson to be learned from this incident. So, keep reading for some important facts and the information that can help you avoid becoming a victim of ransomware and avoid having to pay to get your own data decrypted. A Minnesota based psychiatry and psychology practice was the victim. 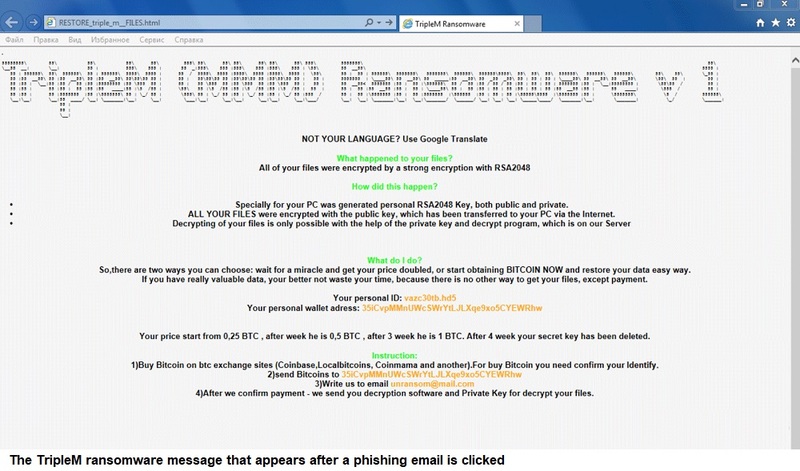 TripleM ransomware was found on the network on March 31. The investigators believe someone was in their system on March 30. The information that was accessible to the attackers was said to have been not “human-readable” and there is no evidence that patient information was indeed seen or extracted offsite. However, potentially whoever did this saw names, birthdates, insurance information, treatment records, and social security numbers. What is notable about this incident is that the attackers disabled the system restore functionality. In addition, and this is important… they reformatted the network storage devices on which the backups were kept. So, how did this happen, you ask? After all, good cybersecurity practice says to keep the backups separate from the network so that they cannot be accessed. So if those were stored properly, how could the hackers get to them? Well, indeed they weren’t separate. Yes, it’s great that Associates in Psychiatry and Psychology did backups. Credit where credit is due. It’s definitely the right thing to do. However, that little extra step of keeping those backups offline or segmented was what they missed. As a result, they were forced to pay the attackers in Bitcoin to get decryption keys and get their data back online. It’s unknown how the attackers got in. However, most of the time it’s one of two ways: 1) Exploiting a vulnerability, or 2) Someone falling for a phishing attack. It’s not recommended that any payment be made to retrieve keys to restore your data. Preventing it in the first place is the best advice we can give and to keep those backups current and separated from the main network is a significant tip not to be dismissed. Always keep systems updated with the latest security patches and updates. Having current anti-virus software and other perimeter security tools in place are also advised. 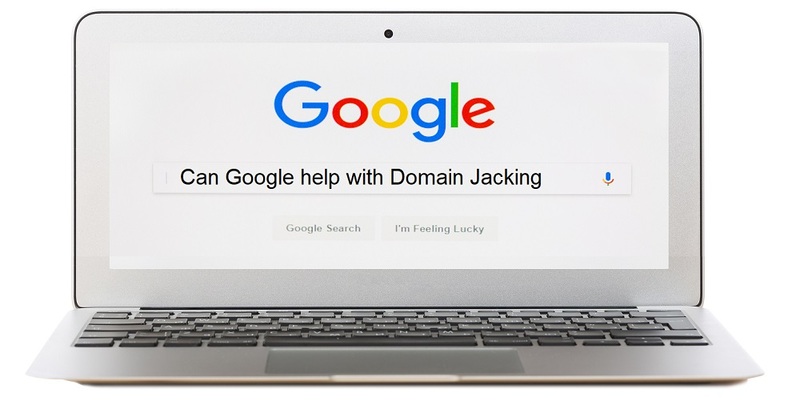 In addition, be sure to keep your employees, contractors, and consultants up-to-date with the latest phishing threats and provide information on how to identify it. In addition, because sometimes mistakes are made, make sure everyone knows what to do if they think they may have fallen for phishing. The practice reported to the Department of Health and Human Services that about 6,546 patients were potentially impacted. You see, it doesn’t matter what industry you are working in or who your clients are. It only matters that any organization, of any size can be a victim of ransomware. Those in the healthcare industry should be aware of a spoofing campaign involving HIPAA Journal. The provider of HIPAA related news warned that an unauthorized person or group registered an email address using its brand. Whoever did that is also contacting physicians to let them know about a “healthcare violation” by a healthcare company. But the email is completely fraudulent. The name of the healthcare company isn’t listed in the warning, if it’s known or specific. 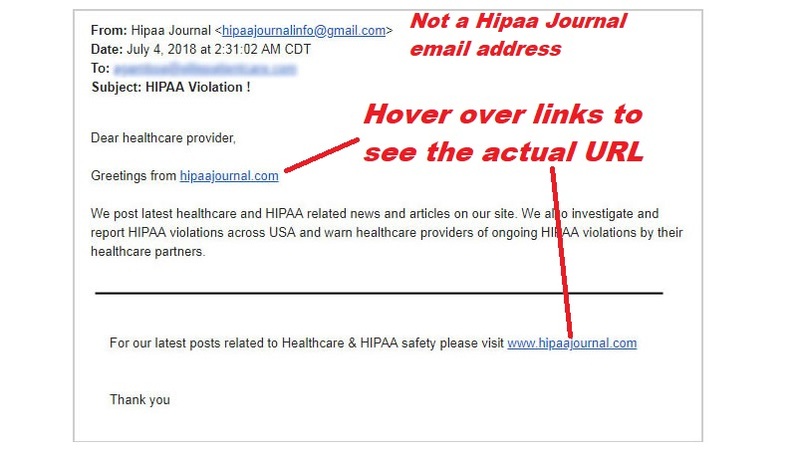 But HIPAA Journal wants to let everyone know that they are not responsible for the email that may come from “hipaajournalinfo@gmail.com.” There is also a link to the actual HIPAA Journal website, but has not yet been able to determine where the link actually takes the clicker. This email is a good example of items that can identify it as phishing. The greeting is not properly written. It’s missing periods and the grammar is not proper for English. However, while this one has obvious indicators, so many of them now don’t. 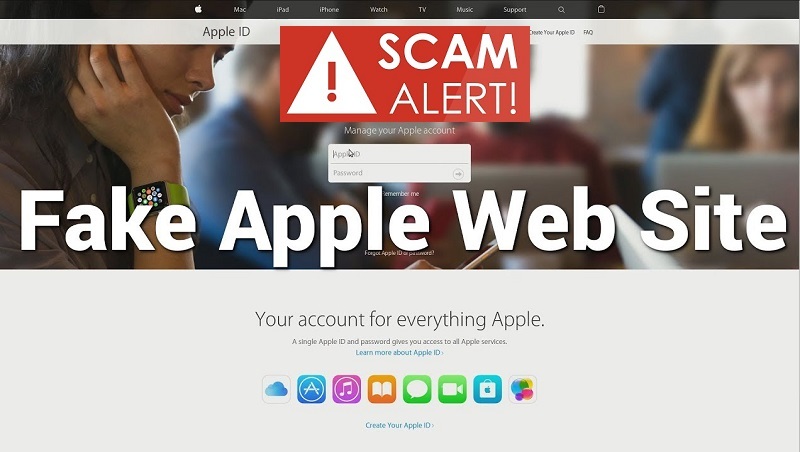 It is getting more and more difficult to determine what is phishing and what isn’t. This is especially true with all of the information available about a given person or company on the Internet. Information gained from social media and business networking sites is valuable to cybercriminals. They can find out a lot of information simply by looking at a person’s profile. Consider what information needs to be made available on social media. If it’s not critical, don’t post it. The details can be used for targeted phishing, particularly business email compromise (BEC) or W-2 fraud. HIPAA Journal is working with Google to close the account associated with this campaign. In the meantime, watch out for this or similar email messages trying to use a well-known brand to scam. Criminals commit crimes because, well, because by doing so, they can make a profit. 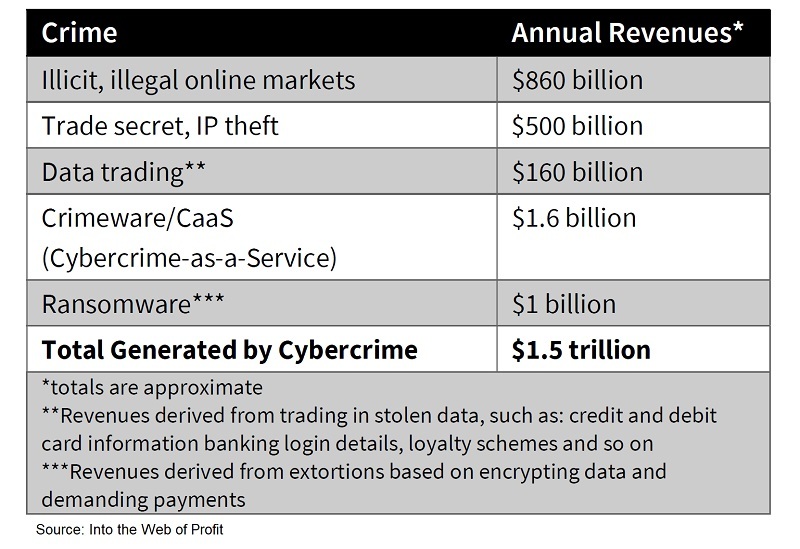 And, shockingly, according to a recently released nine-month study from a criminology researcher in the UK and Bromium (a security product company) called Into The Web of Profit, threat actors are making and even reinvesting about $1.5 trillion worth of profits. If nothing else convinces you that cybercrime is a business, that information should. 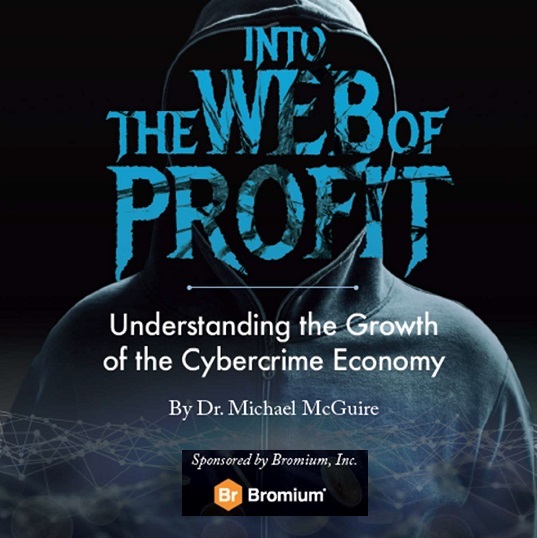 The study by Dr. Mike McGuire at the University of Surrey and Bromium looked specifically at revenue flow and distribution of profits from it with respect to money laundering, data trading, and ransomware, along with other cybercrime activities. Interestingly, they found that the criminal organizations are using a combination of both illegal and legitimate activities (such as placing online ads) to rake in the dough. Just How Much is $1.5 Trillion? That’s a lotta loot, in anyone’s book. But for comparison’s sake, that is equivalent to the 13th largest economy in the world in terms of gross domestic product (GDP). According to the CIA’s World Factbook, the United States is number 1 ($19.36 trillion) and Canada is number 10 on that list at $1.76 trillion, but 13 is very respectable. That’s about the same as South Korea, which is no slouch when it comes to its economy, and more than Australia, Spain, and Mexico. How Much Do Each of the Crime Categories Make? We are glad you asked! From illicit online markets, that would be about $860 billion. If they steal intellectual property or trade secrets, it’ll bring in $500 billion. Data trading? $160 billion. Ransomware and all kinds of cybercrime-as-a-service were at a much lower income bringing in a respective $1 billion and $1.6 billion. While it seems like small potatoes in comparison, the report also found that zero-day iOS exploits alone bring in about $250,000. And since cybercriminals tend to share work or use templates to bring in more bang for the buck, malware kits make the cybercriminals about $200-600 per exploit. Considering one person can do many attacks in one sitting, that’s not a bad payday. Cybercriminal organizations are indeed working as businesses these days. Some of them even have customer service numbers and email addresses. According to the report’s author, Dr. McGuire, “this is creating a kind of ‘monstrous double’ of the legitimate information economy – where data is king.” Companies like Google, Facebook, and other social media platforms where reviews and ratings are offered make it easier for criminals to commit the crimes and not bother getting a “real” job. An individual hacker can make more than a newly graduated college student and “managers” in the world of cybercrime can even make millions per job. Check payment card charges often. It’s pretty easy to log in to your accounts these days. Make a quick check more often than monthly to address potential fraud much quicker. This reduces your cost and the costs for your financial organization. Monitor your credit reports. All people with credit in the U.S. can get a free copy of their credit reports each year at annualcreditreport.com. 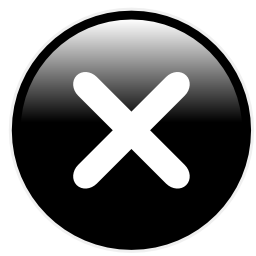 The three credit bureaus will provide one each and unless you have a particular issue, stagger when you request them. Ask for one every four months to keep better tabs on potential fraud. If you can freeze your credit, do so. As a result of the Equifax breach last year, about half the population of the U.S. was a victim of a breach that included social security numbers. Even if you weren’t in that list, consider freezing your credit. This will prevent anyone (including you) from accessing your credit reports. If you don’t need to get credit, find new housing, or are not looking for a new job, this may be an option for you. Remember that even if you do freeze it, you can unfreeze and refreeze as necessary. Just check the lead times and charges to do this for each of the bureaus. Monitor your healthcare records too. The information from these is even more valuable than payment card details. It can be used to commit financial crimes as well as healthcare fraud. If you see something suspicious on your benefit statement, contact your provider immediately to get it resolved. Remember to choose the “credit” option when using payment cards if you have an option. This provides more protection should there be a breach. If a hacker gets your card number and PIN, they can potentially recreate your card and drain your bank account. And of course, always be on alert for phishing attacks. Email is still the primary way criminals get the information they seek. 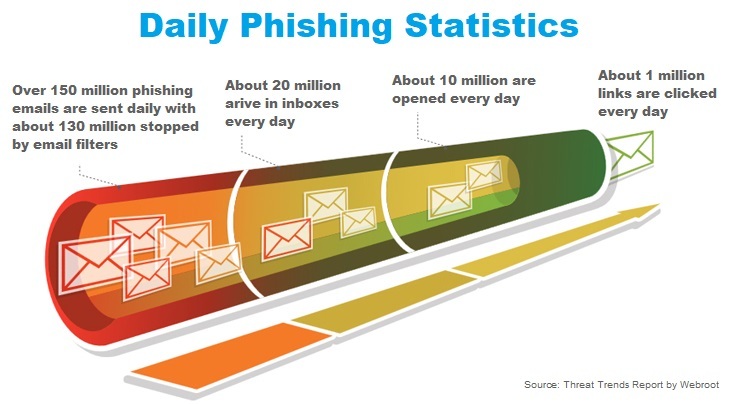 Even if your organization has security tools in place, it only takes one phishing email to arrive in someone’s inbox to set off a successful attack.